Les: The trouble with these roundtables is that setting them up isn’t an exact science. The central idea behind choosing a topic and episodes is to look at a cross-section of different shows operating in a similar field, to see how they approach their subject matter and their strengths and weaknesses in doing so. And since so many different shows are involved there’s no real way to know which episodes are going to serve as the best representatives of their particular series unless you’ve seen all of them, so process of selection (mine at least) has to be based on a brief episode summary or a hilarious title. As a consequence, every so often you get a dud—we started this roundtable out with one such episode in The Man From U.N.C.L.E.‘s “The King of Diamonds Affair,” which some people have told us since isn’t as representative of the show’s format or quality as it could be. All of that is a roundabout way of me apologizing for the selection of “Welcome to America, Mr. Brand,” which was not a very good episode of television, secret agent or otherwise. 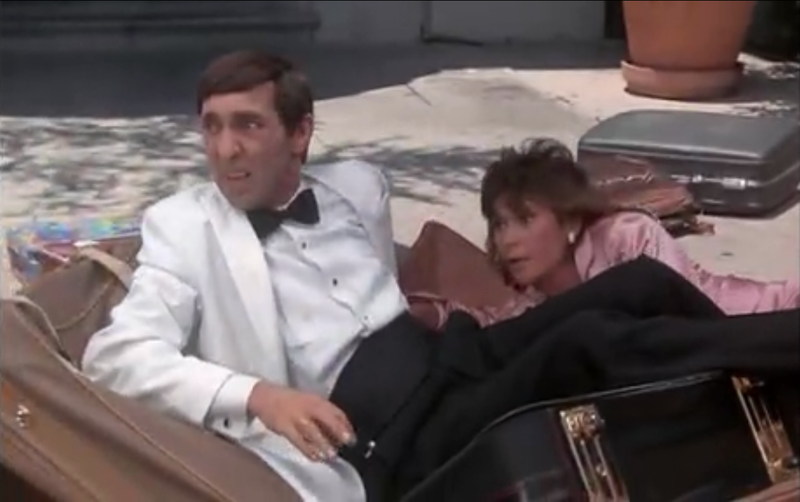 The concept of Scarecrow and Mrs. King is certainly the most gimmicky one we’ve come across in the course of this particular roundtable—an odd couple pairing of professional agent and divorced housewife, getting caught up in international scrapes—but it seemed like it could at least be fun. This episode in particular, featuring a British office drone with delusions of James Bond-level adventures getting wrapped into a currency sabotage scheme, seemed like it had room to offer some satire about that classic spy drama, or contain some twist down the road. In practice though, this episode came down flat on most every count: The spy stuff wasn’t interesting, the odd couple dynamic was undercut by keeping those two apart for long stretches, and the whole story was disappointingly linear after the triple-crosses and feints we’ve had in recent weeks. Cory, while watching this episode I was reminded of something that you said when we discussed Hart to Hart back in the detective show roundtable, when you said it was “one of those shows you’d see on another television show that was making fun of the way television used to be terrible; it’s that obvious and dumb.” And Scarecrow and Mrs. King feels a hell of a lot like that, sadly without the glorious puns and innuendo that made Hart to Hart so much fun in spite of its badness. The tone of the episode felt really inconsistent for the most part, with moments that should have been accompanied by a trombone “wah-wah-wah” instead paired with dramatic stings. Any time I thought there was a plot element that could be interesting—a reveal that Brand was actually the villain playing a part, or actually a highly trained agent—it never came to that and wound up being disappointingly straightforward. And I won’t even bother mentioning the home scenes with Amanda’s kids, except to say I groaned quite loudly when she made that connection between her son’s magic kit and the contaminated ink supply. A better show could have made that connection work, and this is not that show. It also doesn’t help that I didn’t find any of the leads interesting or engaging. Bruce Boxleitner may have earned a fair share of appreciation in the science fiction world as Alan Bradley/Tron from the Tron franchise and Captain Sheridan from Babylon 5, but he was utterly unconvincing as a spy, particularly when he spent most of it worrying about doing well in a fighting class with “Doctor Pain” (played by Asian character actor Keone Young, recognizable as Mr. Wu from Deadwood). Kate Jackson’s gung-ho attitude as Amanda King really got on my nerves after a while—going from Emma Peel to Caitlin O’Shannessy to this, it’s a remarkable downward spiral in quality of the female spies. And as the titular Mr. Brand, Harvey Jason felt like a British Martin Short in a bad way, his enthusiasm and clumsiness adding to the sense of annoyance that the show gradually built up as time went on. Again, I have no idea if “Welcome to America, Mr. Brand” is representative of Scarecrow and Mrs. King as a whole, or (as with “The King of Diamonds Affair”) I happened to select a dud that’s not entirely representative of what the series is. Either way, after this episode I’m certainly not in a hurry to find out. Cory: I couldn’t be more thrilled to make my triumphant return to the roundtable with what is probably one of the worst episodes of television I have ever seen. I consider myself to at least generally knowledgeable about the existence of most shows; before this, I had never heard of Scarecrow and Mrs. King. I should have known that was probably a sign of what was to come. I’m glad that you referenced my previous comments about Hart to Hart, because I planned on it. Somehow, this is like the homeless man’s version of that show, with an even more convoluted premise (Can you just imagine the pitch meeting? Were they just letting anything on CBS in the mid 1980s? ), and substantially worse performances. When I watched the first 10-12 minutes and did not quite understand the relationships between the main characters and how these kids and the grandmother fit in, I looked the show up on Wikipedia and had to re-read it a few times. I just… cannot. You hit on the main point that I wanted to talk about, which is the tone. At least Hart to Hart had the self-awareness to embrace its stupidity, play everything for puns and sexual innuendo, and generally have a good time with boiler-plate detective stories with mediocre twists. 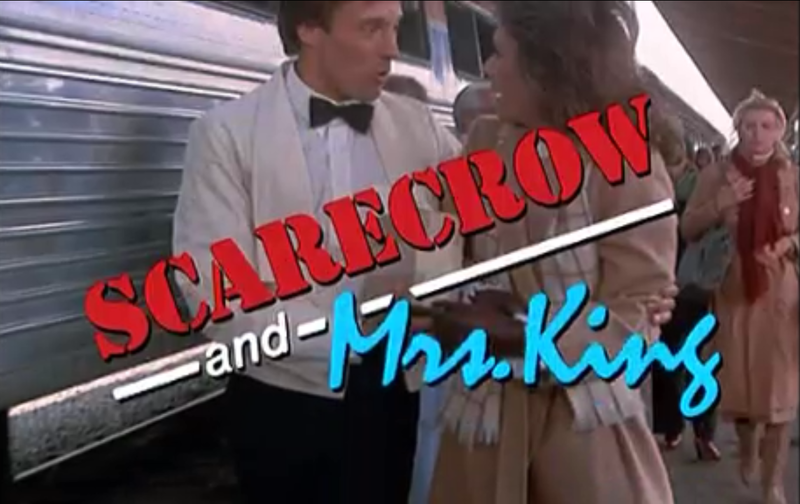 Whereas Scarecrow and Mrs. King approaches its stories, at least in this episode, with a more serious tone, even though they are just as weightless as something like Hart to Hart. That is not to say that the show is full of dramatic heft or stakes, but there is certainly more of an attempt to contextualize presumably “important” story and character elements like Amanda’s home life, or even some of the agency meetings. However, those scenes are not well-written, nor are they particularly well-performed. Worst of all, they are simply boring. I never fully got hold of how good we were supposed to think Amanda was at her job, despite her eager attitude, and you are absolutely correct about the strained connection between her home life and work life. This is pure speculation, but I would guess that story pivot probably played a big role in the show on a episodic level, otherwise the kids mostly exist to remind the audience that Amanda is not a trained spy. 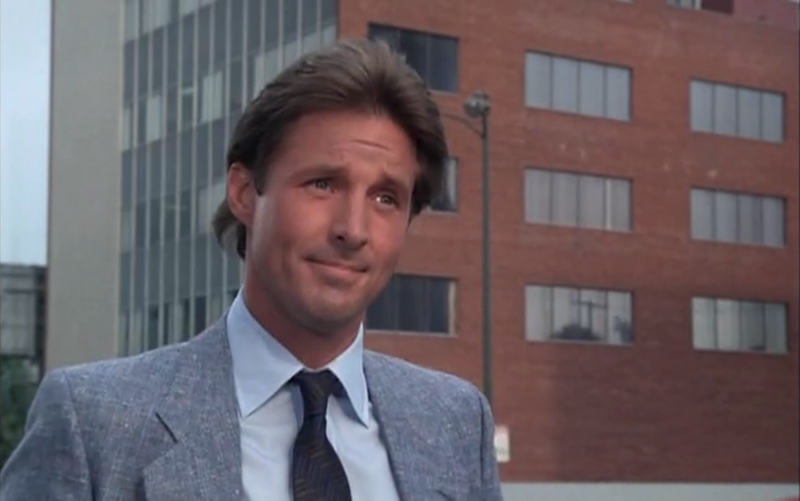 Bruce Boxleitner’s made almost no impression on me, though that could have been a byproduct of this particular episode’s interests. It is sometimes difficult to check in on these heavily procedural series from this era because unless the case is compelling, there is little meat on the bones. That is definitely the case with this episode. But this premise is pretty strained; it tries too hard to be like a bunch of other series without having the material to support it. And when your show does not really compare to Hart to Hart, I feel like there is a small problem. Next week the secret agent roundtable comes to a close, with a look at the Alias pilot “Truth Be Told” (available through Netflix Instant). One thing I should have mentioned: I found it ridiculous in hindsight that in comparing this show to Airwolf, the show with Ernest Borgnine and a cello-playing ex-soldier piloting a superpowered helicopter was the easier one to take seriously. If you ever want to re-review Scarecrow, check out either of the first two episodes. The writing suffered in later years, which you found out the hard way, but when it started out, it was brilliant and really good writing by the pair that created it. Thanks. I do feel like this is a show that probably had a very good pilot to start out and then gradually went off the rails. If the show ever makes it to streaming I’ll be sure to check it out.